Soooooo. You should make this. I know. I say that all the time. BUT. I really mean it. Really really. I’d have to say this is in the top ten of things I’ve ever made. Yeah. For serious. Which is like… the top ten in a million things. Big deal. And it totally took me by surprise. Gave me a big, fat punch of bewilderment square in the face. I mean, I expected it to taste good. Obviously. But like… not THAT good. 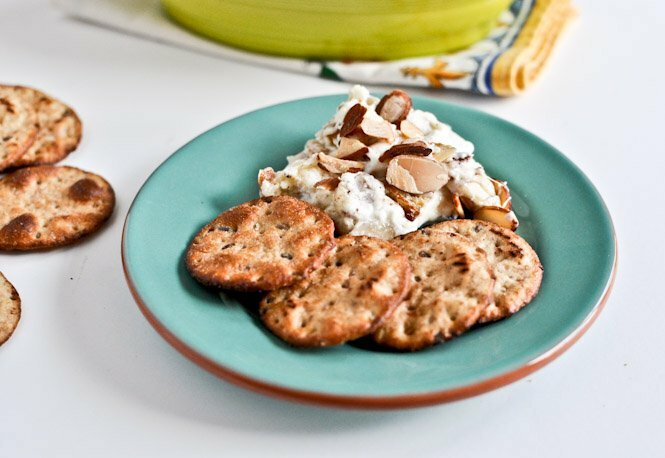 My grandma always loved this little swiss almond cheese spread that came in a plastic container, and my mom still often buys it to serve with snacks and appetizers. 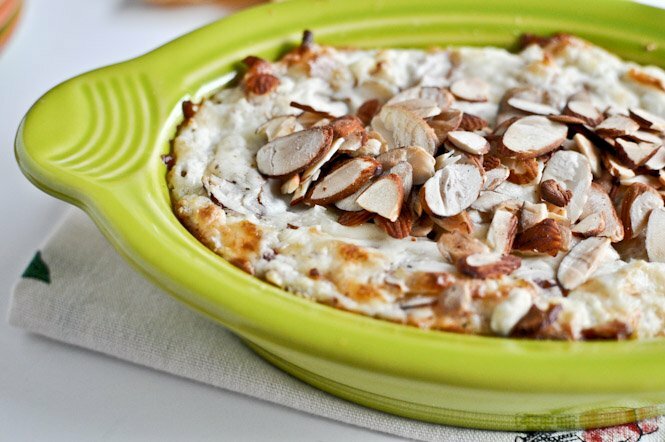 It’s delicious smeared on crackers, but I decided it would be more delicious if someone combined a ton of toasted almonds with a few plentiful thousand handfuls of cheese. I mean, just look at that hot, melty mess down there. I can’t even tell you how freaking good this is. NOW MAKE IT FOR THE SUPER BOWL! Orrrr… just because you are awesome. 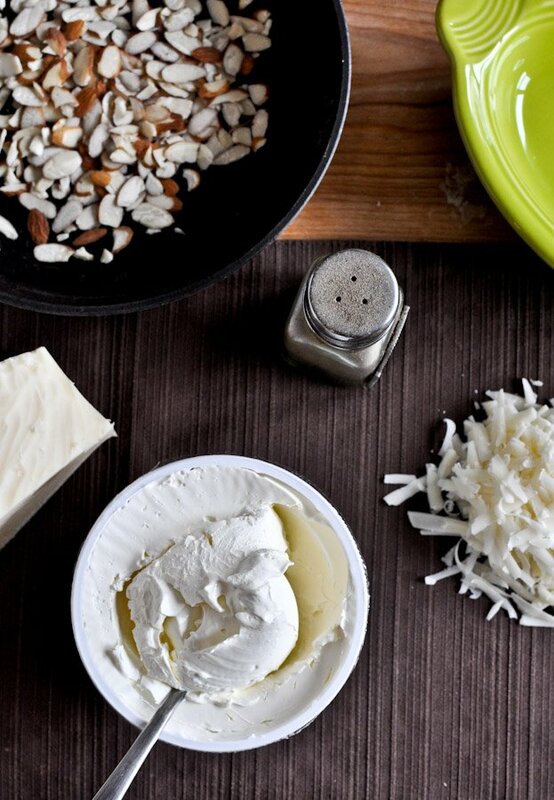 In a bowl, combine cream cheese, mascarpone, salt, pepper, nutmeg, parmesan and 1/2 cup almonds. Mix with a spoon to combine, then press into a baking dish. Bake for 25-30 minutes. 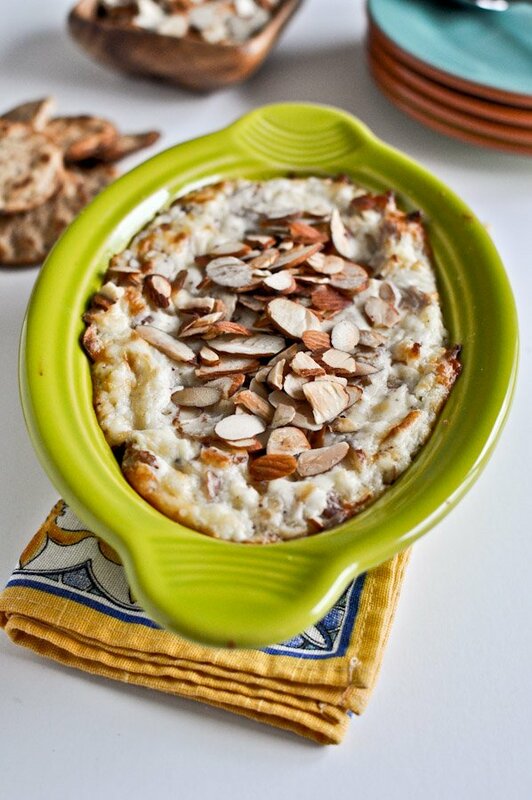 Remove from oven and top with remaining almonds. 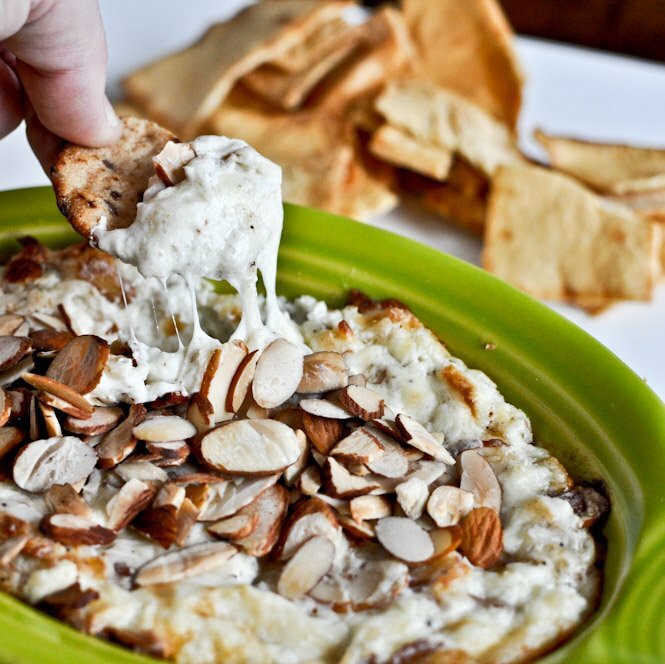 Serve with crackers and pita chips! Note: you can use low-fat cream cheese since the mascarpone has fat in it; not sure about using fat-free.